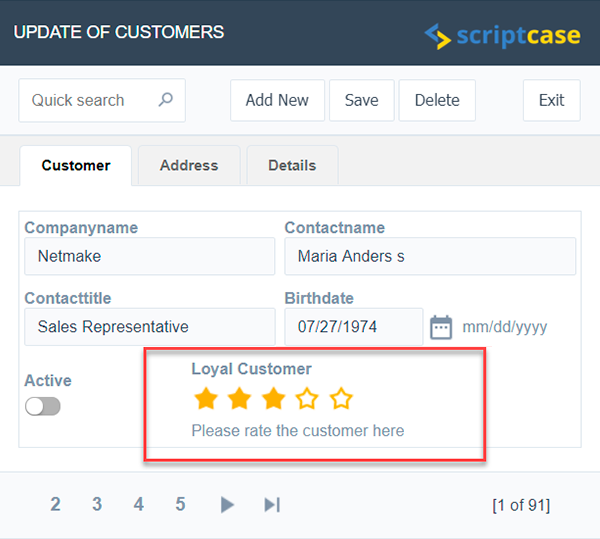 New version of Scriptcase is released with incredible new features such as new field types, including a powerful dropdown component “select2” and canvas field for signature. Integration with SMS services and Paypal Express, new hotkeys customization options, new search options and new PDO connection drivers. Check below the complete list! New fields to your form, simple and easy! 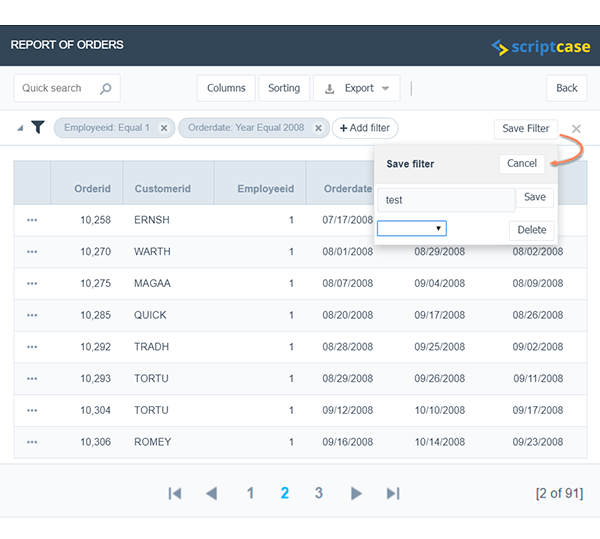 Field with "Select 2" component: for select and auto-complete field types a new option to the drop down will provide more performance and accuracy in the select results. The new component allows you to perform a search within the select result, limit the characters and number of records displayed. 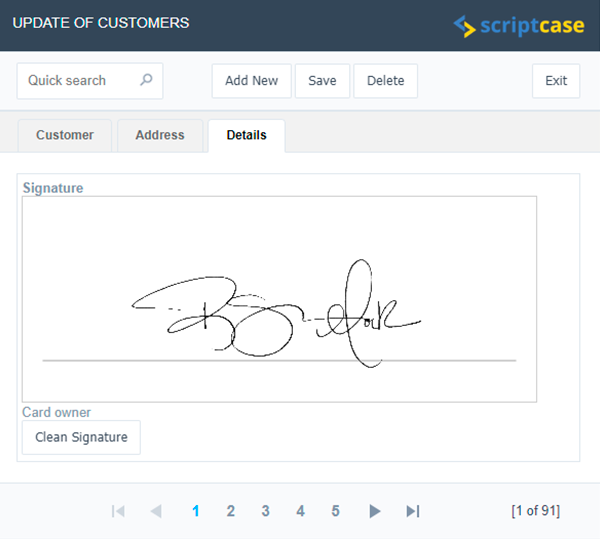 Digital signature field: allows the user to use his finger, mouse pointer or a digital pen to make signatures or drawings, it is stored in the database as an image format. It is also available for Grid application. Rating star field: This field allows you to qualify with stars (or any other image), where the user can select the classification according to a scale previously configured. It is also available for Grid application. Slider Field: available for integer fields, the field shows a slider component (jQuery range) to allow the user to select a value within a range defined in the application. Switch toggle field: Available for radio and checkbox field types, the switch uses a component "JS iOS toggle" to check the values on the form. Clickatell, Twilio or Plivo to send SMS. PagSeguro and Paypal Express for payment services. We will keep working hard to bring new options to integrate with other APIs in upcoming releases. 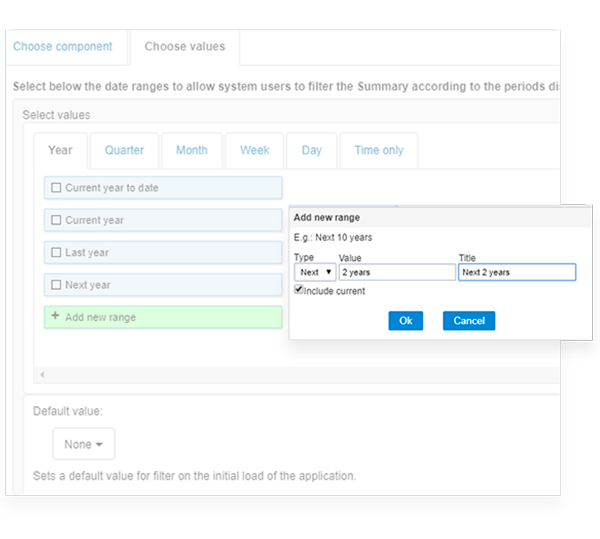 In the advanced and dynamic filters for date/time type fields we have added the relative period customization option, as already available in the summary and chart filters. So now you can have more options with specific periods options within your search options. We have also added an option in the advanced search tags to save searches in the selector, so the end user can reuse previously saved searches. In the filter selection it was added an option to display the actual values of the table itself, so that the values will not be repeated within the selection. The drivers for the connections: Oracle, DB2, Firebird have been updated to improve performance with your database connection, using PDO technology. New option to connect to the SAP SyBase database. Shortcut keys for Scriptcase applications: option for creating shortcut keys also available for applications created by Scriptcase. The key combinations can be defined according to the functions of each application. 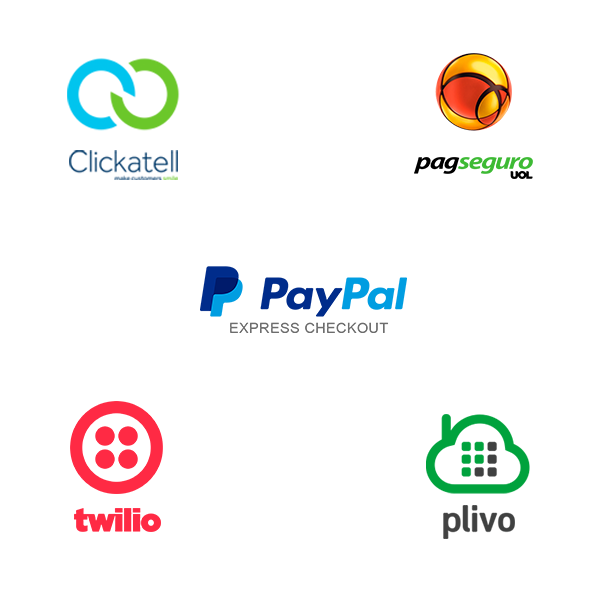 The new functionality brings also the possibility of creating templates that can be reused in multiple projects. New area to customize the hotkeys from Scriptcase: new interface for creating and customizing shortcut combination from Scriptcse’s development environment, with this option you can also share or import a shortcut setting from one dev environment to another. Added support for XML export and WORD in Nested Grids. 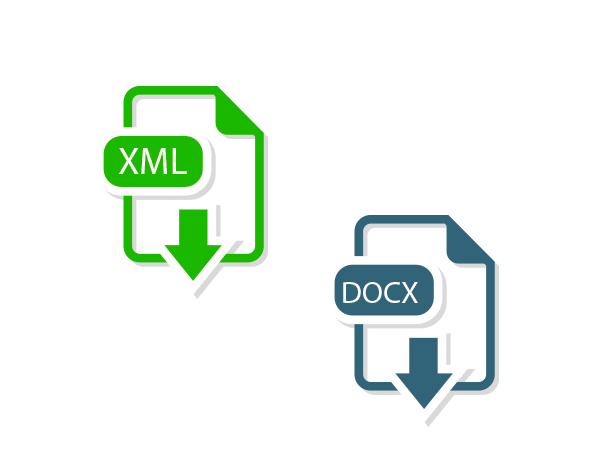 Added option to set generation of XML elements, such as attribute or value. 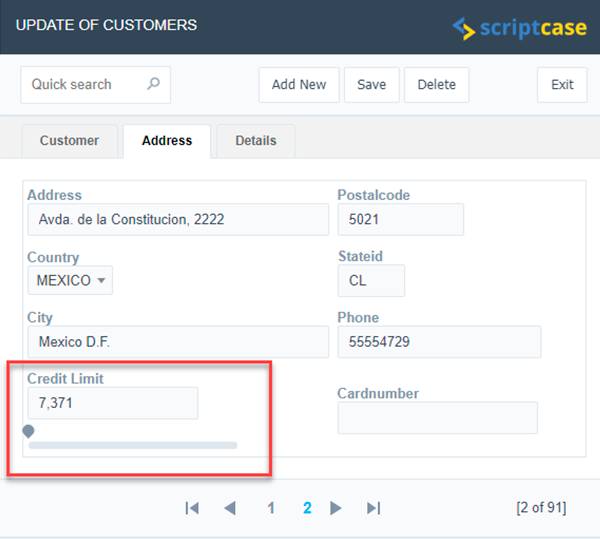 We've explained some frequently asked questions to those who already work with Scriptcase, if you're not able to find the answer to your question, you can contact us. Will I need to reinstall my Scriptcase? No, to have version 9.1 you only need to update your Scriptcase by accessing the menu in the "Help -> Update Version" option. It is important that you do these updates even if you do not have the right to the new features (update expired), because together with the version, we also send corrections and improvements that are independent of the right or not to receive new features. How do I know if I have the right to the new version of Scriptcase? To find out if your upgrade / subscription date is active, access your user environment HERE to see the details of your license. If you have the update date (Upgrade / Subscription) active, you are entitled to download the updates for free. Just update your Scriptcase by accessing the menu in the "Help -> Update Version" option. Do I need to uninstall Scritpcase 9.1 to use Scriptcase 9.2? No, as it is an update within version 9 itself you do not need to perform a new installation, just update within the same version you already use by accessing the menu in the "Help -> Update Version" option. Do I need to migrate my projects? No, the 9.0 and 9.1 projects are fully compatible with version 9.2. There is no need to migrate projects. Does version 9.2 change any settings in my web environment? No, version 9.2 uses the same Version 9.1 environment (Apache 2.4.3, PHP 7.0 and SourceGuardian). How do I convert my projects from an older version of Scriptcase to Scriptcase 9.2? The conversion process is automatic for versions 6, 7, 8 and 8.1. 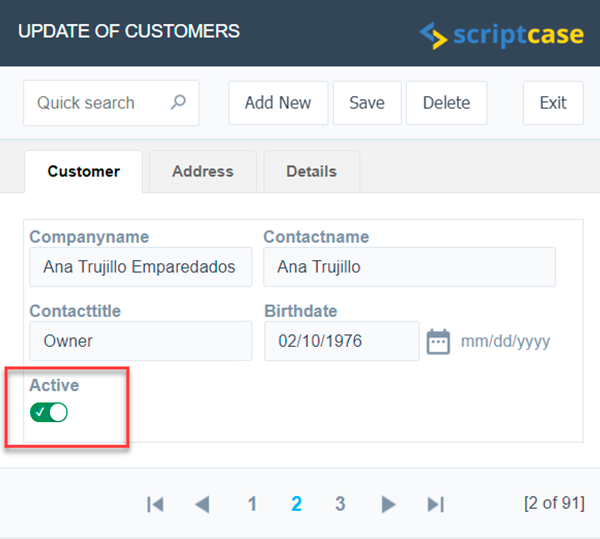 Click here (https://www.scriptcase.com.br/lp/scriptcase9/conversao/) for a complete tutorial of conversion. I want to buy a new license, what options do I have? New features such as new field types, including a powerful dropdown component “select2” and canvas field for signature. Integration with SMS services and Paypal Express, new hotkeys customization options, new search options and new PDO connection drivers and more. More than 32k developers already used Scriptcase to distribute more than 1M apps. Scriptcase enables you to design, develop and deploy beautiful, responsive, database-driven applications using only your web browser. A powerful PHP generator for you to develop fast, simple, secure and with a low cost. 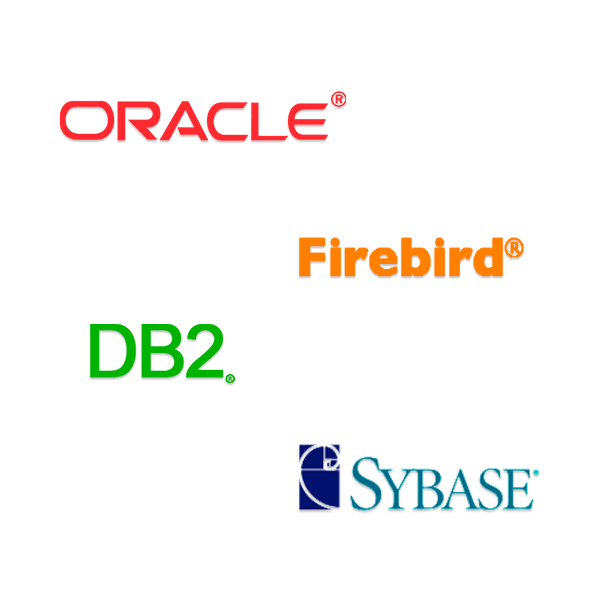 Connect with your database (MySQL, PostgreSQL, SQLite, Interbase, Firebird, Access, Oracle, MS SQLServer, DB2, SyBase, Informix or ODBC layer) and generate web applications based on your tables in a simple and safe way. Use our modern, intuitive, and powerful browser-based environment to quickly build and run ​w​eb apps such as forms​,​ reports,​ charts,​ PDF, dashboards and menus, enabling easy iterative development. With just one click the application source code is generated and displayed with all modifications carried out, allowing a quick preview and test of the final application. Deployment is the process you use to make applications, developed within Scriptcase, available to be accessed by the end user. Requiring only a web server with PHP support. Keep your projects in a continual improvement process. Scriptcase evolves continuously with the major technological market innovations.